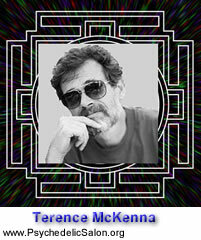 Posted in Ayahuasca, Consciousness, Culture, Environment, Evolution, Language, Psychedelics, Terence McKenna (mp3) and tagged Ayahuasca, Consciousness, Culture, Environment, Evolution, Language, Psychedelics, Terence McKenn. This beautiful gem instantly jumped to the top of my list of Favorite Terence McKenna Recordings. Thank you, Lorenzo, for helping us “Find the Others”.